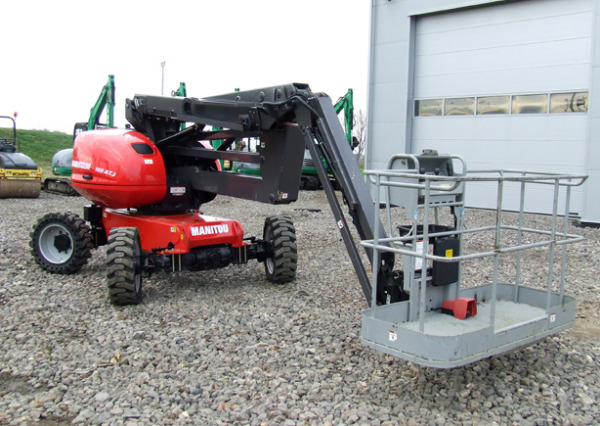 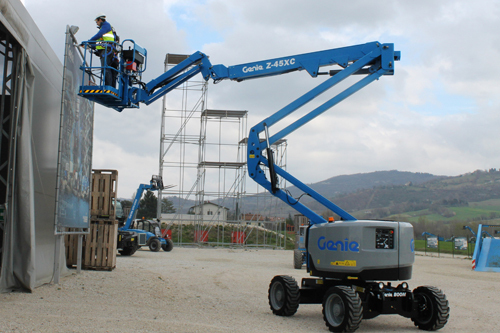 At Hire Safe Solutions we hire, lease sell a large range of Articulated Diesel Boom lift also Articulated cherry pickers ranging in size and specification from 12 meter right the way to 48 metres. 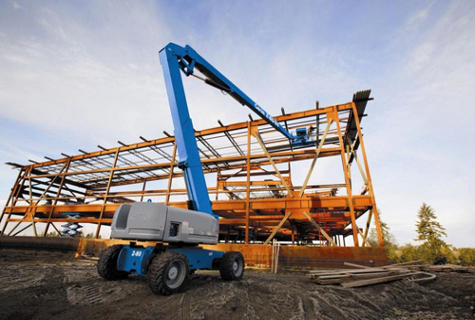 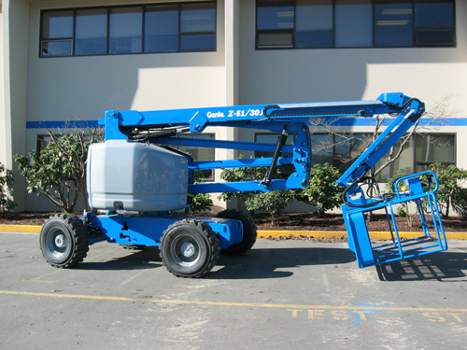 Articulated diesel booms are essentially MEWPs that are mounted on a rough terrain chassis. 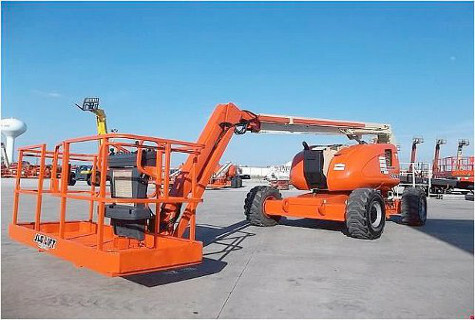 The chassis itself will offer different features depending on the specification the unit, some may be four-wheel drive, and others may have four wheel steer, extending axles or oscillated axle. 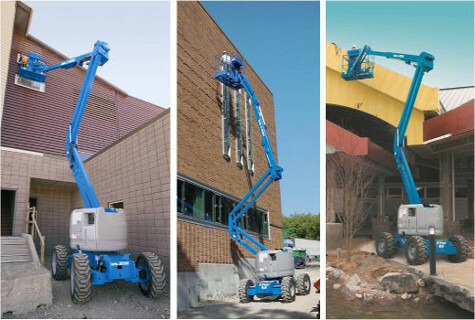 The majority of the modern Articulated Diesel Booms in this context allow the units be driven at height allowing them to be referred to as mobile booms which come under the IPAF category Mobile Boom or 3b. 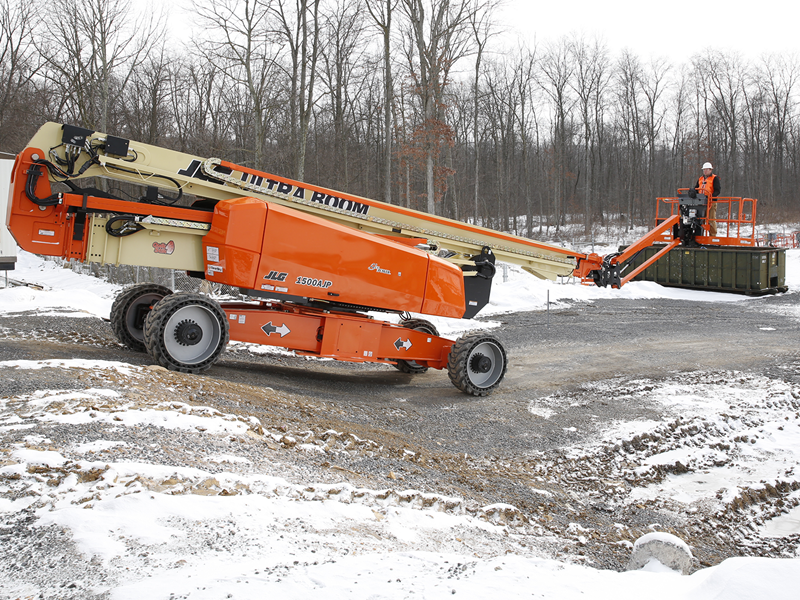 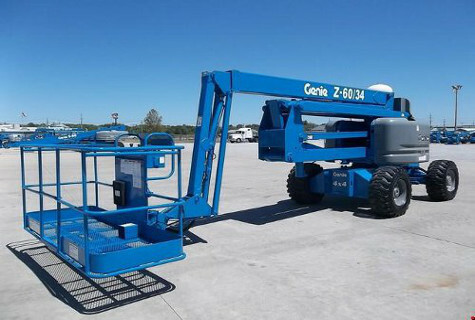 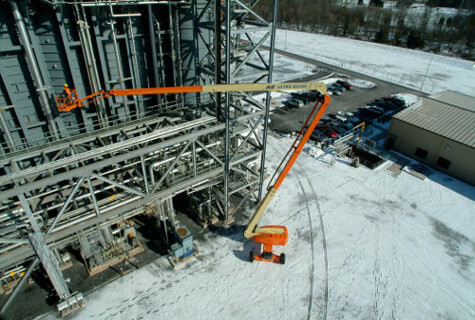 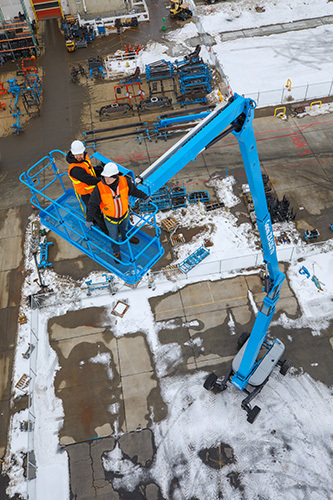 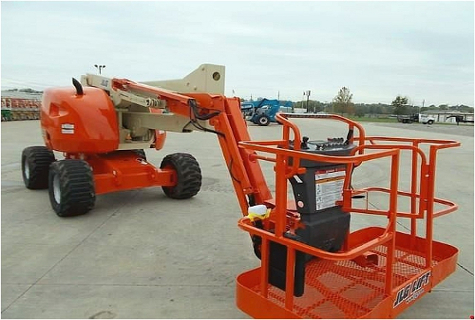 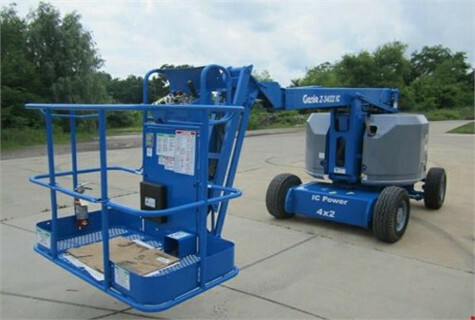 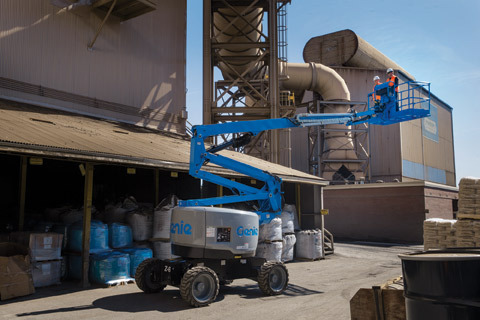 There are just a handful of manufactures, Genie and JLG who have their HQs in the United States, Manitou and Haulotte who are based in France and the Canadian company Sky Jack. 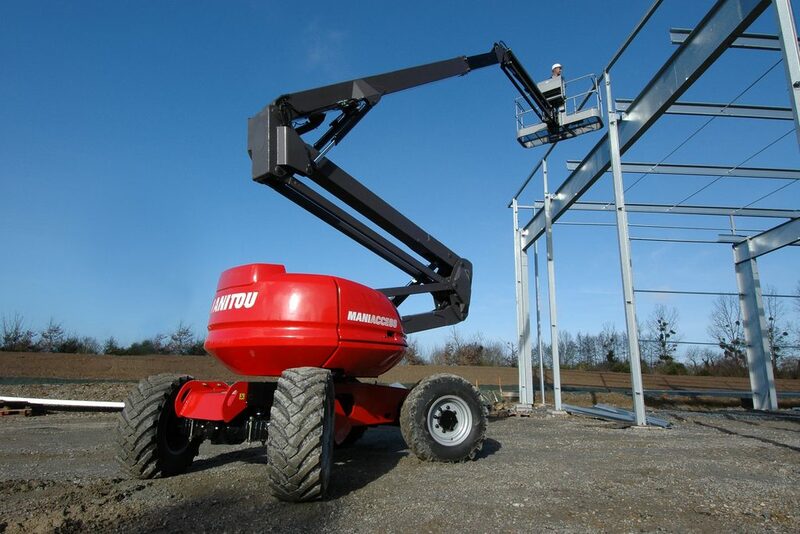 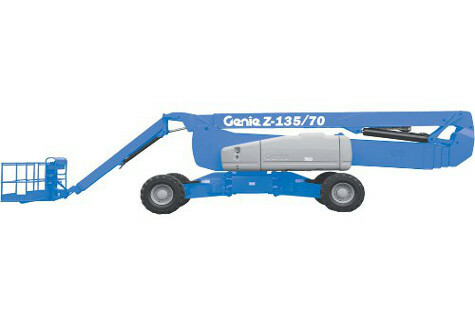 This type of unit suggest that it is a off road or 4×4, care should be taken when operating these or any other type of MEWP on anything but firm level ground.